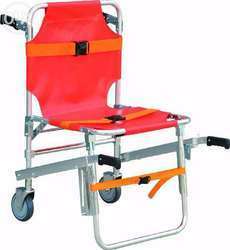 We are a leading Wholesale Trader of cervical collar, air splint, finger splint, aluminum moldable splint, child spine board and plastic scoop stretcher from New Delhi, India. The multifunctional nursing splint can be used for both the left and right limbs at same time. The kit including, adult arm splint, adult leg splint, shoulder joint splint, child arm splint child leg and waist splint, straps and a carrying bag. It is made of Leather. 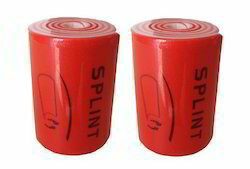 The splint are suitable for x-ray and MRI. The product is mainly used for fastening of the 1st and 2nd joint of fingers. It is convenient to used and simple for operation.It is made of aluminium bar,sponge pad and adhesive strip.End part of the aluminium bar is bending upward, which make the injury finger stretch upward straightly and keep fastened. Common performance: Feel free to use scissors to change its size,could be applied to different parts of body and different body of people. Stability: Rigid structure made of special materials,the shape changing cause the fatigue of the metal, thus forming stable status, bone setting well. Unique design, light-weighted, easy to use. 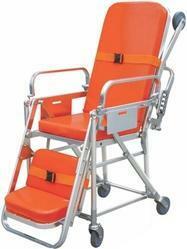 Holes around the stretcher for convenient transportation. 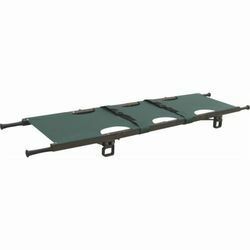 The stretcher is made of PE material with no contaminator, the structure is rugged and wearable. There has position for fixing head immobilizer on the head end.